Through the latter 1980’s, with inflation tame, the fed had the ability to lower interest rates, and individuals and businesses were able to take a larger chunk of the credit expansion. By the 1990’s now under the Fed reign of Alan Greenspan interest rates were very close to historical lows, and private loan demand had become so great that the federal government could take its own foot off the credit creation pedal. What were those private entities borrowing money for? Well it was nothing new, it was for stocks among other investments. There was a new technology that seemed to hold amazing promise, computers and the internet. 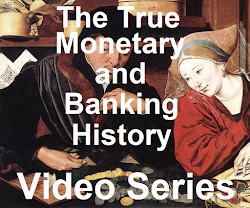 This new technology deserved investment, there is no doubt, but similar to the 1920’s which also was a time of great innovation, the debt based monetary system allowed this investment to get out of control and a bubble formed. Technology stocks are listed mostly in the Nasdaq stock exchange so the bubble was most pronounced in that exchange. Stocks were going up and, just like in the 1920’s, you could multiply your gains by borrowing money. Some individuals would even take out a second mortgage on their homes to speculate in the stock market. People got caught up in the markets, prudence went out the window, and as long as the business was involved with the web or computers, people bought. Gains beget gains and it seemed as if it would never end, and excuses were easy to come by as to why that would be the case. Government all the while was getting their cut; the capital gains that investors realized were all taxed. It appeared as if the then president, Bill Clinton, and the new Republican congress had put in place reforms to balance the budget, but this was not the real cause of the improvement of the governmental balance sheet. Sure it helped, but it was mainly because private entities were borrowing in a fashion great enough to perpetuate the debt based monetary system, thus the pressure was off the government to borrow. This along with a boom related taxable windfall, such as the ability to tax the capital gains of the bubble in stocks, balanced the budget. The fun ended in 2000, the most prudent investors started to pull their money from the stock market, if they hadn’t already done so. The stock prices fell, leading to losses, these losses were greater for those that had borrowed; losses led to fear, fear led to more selling, and a full crash in the stock market ensued. Once again the private side of the economy was no longer willing to borrow as they once had to maintain the ever important credit expansion. The government would again need to step in and borrow; this time there was the convenient need to borrow to fund the wars in retaliation for the 9-11 terrorist attacks. During this down turn the governments’ balance sheet was not sufficient to maintain the exponential debt creation necessary. Policies would have to be put in place to entice private help. As self-proclaimed neo-Keynesian economist Paul Krugman wrote in 2002, “To fight this recession the Fed needs more than a snapback; it needs soaring household spending to offset moribund business investment. And to do that, as Paul McCulley of Pimco put it, Alan Greenspan needs to create a housing bubble to replace the Nasdaq bubble.” The Fed reduced interest rates to the lowest in history, so they had done their part. The federal government also strengthened policies already in place to, as they describe, encourage homeownership, when the real goal was to encourage borrowing in the form of home mortgages. They succeeded and produced the largest bubble in history, and yet again it was just a misallocation of resources. The gains in housing enticed more individuals to bet well beyond their lifesavings on housing. The stories of barbers, waitresses, and cabbies retiring wealthy and early by getting rich in the real estate market, pervaded society. But this dream like the last ended in the same fashion. In 2007 home prices started to do what they had not done since the great depression, far removed from the memories of the current generations, they began to fall. People had not just levered up putting down a fraction of the purchase price of the properties, they were infinitely levered, by putting nothing down. As with the fall in the stock prices less than a decade earlier the gains and greed quickly turned to losses and fear. Actually there was even a stock bubble at this point as well, following on the tails of the housing bubble, and it too collapsed in the same fashion. Each crisis is larger than the last and where a bubble in stocks is enough to maintain in the first, you need a bubble in real estate and stocks in the next, and real estate, stocks, and government bonds in the one after that. This recession was different than any since the great depression. Not only did credit expansion get knocked from its perfect exponential track based on interest rates, it actually began to contract. In this type of contraction debt actually begins to destroy money. In any debt based monetary system the money in the system and the debt are similar to matter and antimatter, when they meet they destroy each other. 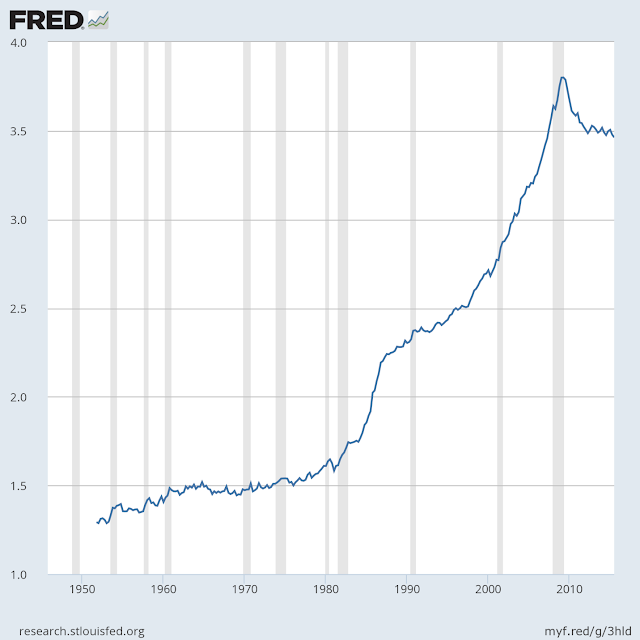 This destruction is done by the simple action of paying off loans or deleveraging. Unfortunately in 2008 when this contraction began to take place there was about 8 trillion dollars in existence and over 50 trillion dollars’ worth of debt. The now downward trajectory of total credit represented dollars and debt being destroyed simultaneously. With multiples more debt built up over years due to debt growing at a faster rate than actual dollars, the dollars would disappear far faster than the debt. With dollars, the medium of exchange gone, it does not take an economic genius to realize that the financial system and economy would be frozen into destruction. The onset of the debt based monetary system was a want for power, its perpetuation was in the maintenance of that power, but at this point the crash was so unimaginable the systems continuation, at all costs was one of survival. No one could know the consequences of a crash if allowed to continue, it was difficult even to contemplate, the American economy with no medium of exchange/dollars. Loan defaults were also taking place during this time destroying debt but not dollars, though defaults inflict equally devastating effects on the economy. Mises’s foretold crash had to be stopped by any means necessary. The government started, with their Keynesian prescribed remedy to borrow, and since this downturn in credit expansion was unprecedented so to was their borrowing for two massive trillion dollar stimulus programs (shovel ready of course) that included essentially handing money to the banks, cutting the Social Security tax, infrastructure projects, unemployment benefits and even giving cash directly to US citizens. The government still had the ability to borrow, though this option may not always be available in the future. The Fed had to take several unprecedented steps, many of which we will never know the full extent of due to their secretive nature, allowed because Keynesians demand that a central bank be “independent”. There normal tool, of lowering interest rates, was ineffective since they lowered it to zero near the beginning of the crisis and it was not enough to stimulate loan creation. During this crisis their main weapon to fight this credit contraction was a new method; it was done in the open, and had the impressive sounding name, quantitative easing, or QE. Before we delve into what exactly QE is, we will first discuss what QE, in reality, is meant to combat. You will hear from commentators in the main stream media, on CNBC, from economists and from the fed itself that QE is meant to stimulate the economy, support certain markets, maintain low interest rates, or help the job market. Yeah, it’s meant to help the little guy get a job. In truth QE is meant to do one thing, remove debt from the economy, though in theory the removal of the debt is supposed to be temporary. What is quantitative easing? Despite its imposing name, quantitative easing is quite simple, the Fed does what it does best and creates money out of thin air and uses that money to buy assets from the banks, those assets are debt instruments. Thus the fed is putting cash into the economy and removing debt. Still it is a process of creating money out of debt going back to why it is termed a debt based monetary system. As previously stated this is supposed to be temporary and the process, according to the fed can be reversed, but until they show it can be reversed I will assume that they can’t. And if they can’t I will assume it is debt monetization, a play taken from the books of the Weimar Republic, and other economies that have fell victim to hyperinflation. The fed holds the debt instruments, treasury and mortgage bonds, on their balance sheets and maintains them, handing the interest for the most part on to the treasury, and reinvesting principal. Since the debt still exists they can pretend that they could be sold back into the economy soaking up all of the dollars they had previously put into the economy, more on that later. If the fed just destroyed the debt and told the borrowers they didn’t have to pay it back that would be clear debt monetization. But what makes them think that if this move was so necessary for the economy in the first place that the economy will ever be able to support the bonds being resold? It doesn’t appear with the debt overhang, that the economy could support a move like that…ever. Now for some charts to show why QE was so necessary, at least if the Fed wanted the debt based money to continue. Source: Board of Governors of the Federal Reserve System (US), All Sectors; Total Debt Securities; Liability [ASTDSL], retrieved from FRED, Federal Reserve Bank of St. Louis https://research.stlouisfed.org/fred2/series/ASTDSL, January 26, 2016. All Sectors; Total Loans; Liability [ASTLL], retrieved from FRED, Federal Reserve Bank of St. Louis https://research.stlouisfed.org/fred2/series/ASTLL, January 26, 2016. This first chart shows total credit market debt, (Red Trend). This includes public debt including federal, state, and municipal, as well as private debt such as mortgage, credit card, education, corporate, car loans, and pretty much anything else a private entity would borrow money for. In essence, this trend is all the debt in the US economy. Oh for those that weren’t quite sure when we said that; “In a debt based monetary system, that debt must grow exponentially based on the interest accrued the year before”, this should make things more clear. That chart, up until things went very very wrong in 2008, was almost a perfect exponential chart ever increasing at a faster and faster rate. The black trend is Gross Domestic Product, what can be thought of as national income. It is also growing by a varying percentage each year but at a much slower rate than total debt hence the large divergence. 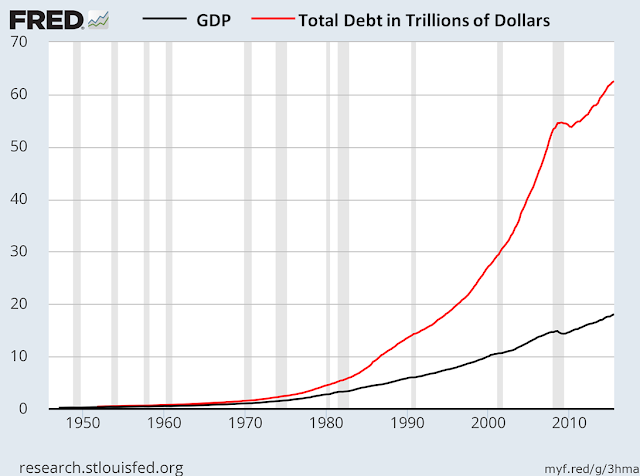 Here is that data presented in another way, as total debt divided by GDP. It makes sense, that the macro economy, just like for an individual, would have a point at which the income can support no more debt. With the many variables of a complex system the point when market participants are not willing to take on any more debt may be hard to pinpoint, but it appears to have been reached in 2008, at least under the set of criteria that existed at that time. What do I mean by that set of criteria, well the amount of income the participants had, the amount of debt they had, interest rates, and their perceived returns on what they would take on debt to purchase such as housing, education or stocks. So like in the past the Federal Reserve and government set out to change the criteria for those market participants, unfortunately the governments balance sheet may throw a wrench into their little plan. As already covered the monetary system must start to create more credit/loans or it will destroy itself and this can be private (individuals or corporations) or public (governments). The private will only borrow more based on semi-rational reasons. I say semi-rational because the entity borrowing believes the loan is for a good reason, but in retrospect the loan may be to its detriment. For example they can take out a student loan because they believe education is always a good investment, or take out a mortgage because they think real estate will always go up. There could also be reasons to refinance such as the interest rate going down or making the term longer to make the payments more manageable. Eventually though a stopping point will be reached, prices for whatever those loans are used to buy will reach a point where people will not borrow any more for them, and borrowing will stop. Tuition has gotten to the point where the return on investment has made it clear that education in many cases is no longer a good service to borrow for, real estate prices have proven they can go down and thus can be a poor reason to take out a loan as well. Rates have gone about as low as they can go, and the terms of mortgages have reached about as far as it appears home buyers willing to borrow for. The standard 30 year mortgage has not morphed into the logical next step of a 40 year loan. Home buyers in their prime may conclude that a loan that may not be paid off by retirement or even before their death is not practical. Whatever the reason or reasons it appears that people will not borrow for more than 30 years to buy a house. Below is a chart illustrating the point above on education cost and benefit. At some point, even for education, the cost or tuition is not justified by the return or increase in wages. There has been some more luck with corporations and investors who have borrowed to buy back stock or invest. But there will be rational limits to this as well. It is amazing how The Fed, Banks, and the government have enticed so much borrowing from the private sector with programs like the Bush’s Making Home Affordable Programs, and Clinton’s Higher Education Act. The way the government treats second homes is a perfect example of one of these pro credit policies. Second home mortgage interest is tax deductible. This essentially means the federal government subsidizes rich people’s vacation homes. There is no rational reason for the federal government to subsidize vacation homes, until you look through the lens we have been polishing. Second home mortgages are a huge source of expanding credit. The government doesn't care if you buy a vacation bungalow, but it does if you’re willing to go into debt to buy it. Vacation home subsidies are also a great example of misallocation of resources. Because of the subsidy a buyer may buy a vacation home instead of another investment that without government intervention should rightfully have the capital based on free market forces. These other investments could be stock in a promising biotech company, solar panels and additional insulation in a primary residence, or a welding class. The final issue making the real intention of the subsidy clear is HOW they apply the tax deduction. We’ll give the federal government the benefit of the doubt and assume they subsidize primary home mortgage interest to subsidize shelter (somewhat believable), and second homes to help spur the economy through home building and associated spending (reaching). Why then would they choose to provide the subsidy through the loan? If they are trying to help the people who might otherwise rent why wouldn’t the hard earned down payment be tax deductible? Is there less economic growth if a home buyer uses cash to purchase a second home instead of a mortgage? If the subsidy had anything to do with enticing actual home ownership the down payments would actually be encouraged and included in the subsidy not excluded as is done currently, unless of course the actual goal is loan creation. Even with the massive push towards credit creation and attempts to change the borrowing “criteria” the private sector appears to be reaching its borrowing limit in 2014 just as in 2008. So that leaves the government. Central banks like the Fed, as was understood over 100 years ago, can only solve a liquidity crisis but are much more limited when dealing with a solvency crisis. The fed is supposed to allow insolvent entities such as an insolvent bank to fail. They can fix a bank, the entire banking system or the federal government if the issue was liquidity, but not an insolvent one. During the 2008 crash no insolvent entities were allowed to fail. Not surprising considering one of them was the US government. So what is the difference between a liquidity and solvency crisis? To give you an example of a liquidity crisis consider the following. You have 5000 dollars of bills due on the 20th of each month, you have an income of 10,000 dollars that is paid out on the 1st of each month, and you have 30,000 dollars in cash. On the 15th of the month you make the decision to buy a new car, and pay 30,000 dollars in cash. Oops, you used all of your cash and your 5000 dollars’ worth of bills are due in a few days. Anyone who has been in this situation knows that the creditors will probably not have a huge problem waiting 10 more days for payment, you could get a bridge loan, or sell some assets, and after that point the problem will be solved. From that point on, your income will always be able to cover your outflow. Central banks are designed to provide loans for just this kind of liquidity issue for individual banks or even the entire banking system; that is their stated role as “lender of last resort”. Theoretically it could do the same for the federal government. Unfortunately this is not the issue that our government has. It has a solvency crisis. Now for the solvency crisis example, in this example imagine you have 10,000 dollars of bills, a 5000 dollar income, and 30,000 dollars of cash. Just looking at that balance sheet shows you have a solvency issue. There is not a liquidity problem, yet. There is enough cash to pay your bills, but after 6 months when that cash runs out then you have both a solvency and liquidity issue. You can gain more liquidity through a loan, and put off the problem for a few more months but this just adds to the problem. If you borrow an additional 30,000 dollars with a loan which will cost an additional 800 dollars a month to service, you will hit the same point of not being able to pay your bills in 5 or 6 months, but now, even deeper in debt. Borrowing is the preferred method the federal government is using to attempt to fix their solvency crisis. To see if they can borrow the needed amounts to continue credit creation we should first determine if the US government is solvent. But before we do that lets look at another individual. This individual has 1.7 million dollars’ worth of debt, an income of 250,000 dollars a year, bills of 350,000 dollars a year and lives hand to mouth, meaning they have no savings and have to borrow every penny of the additional 100,000 dollars to pay their bills each year. They don’t have a liquidity crisis because they have lenders that are willing to lend them money at between 0 and 4% depending on the duration, but they are clearly insolvent. As soon as the lenders stop lending they will not only be insolvent but illiquid as well. Even if the lenders irrationally keep lending, eventually the cost of servicing this debt will cause the crisis, but it gets worse. This same individual has even more bills that he is not servicing yet but in a few years it will cost him 600,000 dollars a year. These are the exact figures the United States federal government is dealing with, only I chopped 7 zero’s off the end of the numbers to make them believable for an individual. Granted no one would lend to an individual or small business with that kind of a balance sheet. Lets take a rough look at the Federal Governments balance sheet in 2014, $17,500,000,000,000 in debt, $2,500,000,000,000 in annual tax receipts, $3,500,000,000,000 in yearly expenditures, and a deficit around 1,000,000,000,000 a year. The deficit has recently come down but like in the 90’s this is thanks to temporary boom related federal revenue windfall. For example if capital gains from the rise in stock prices turn to losses due to a correction in the market that we are overdue for, those taxable gains will turn into tax deductible losses A recession, which historically occurs every 6-8 years, can cause some of the jobs that are providing taxable income during a boom to disappear. But the issue gets even worse, as alluded to for the individual above, if GAAP is used. GAAP is Generally Accepted Accounting Practices. This is the way companies must crunch their numbers, by law, so investors, and anyone else that is interested in a company’s balance sheet can determine if that company is solvent. GAAP doesn’t just look at what a company is servicing in debt currently, but what they have contractually agreed to pay in the future, such as benefits for employee pensions. If the US government were to use GAAP the deficit wouldn’t be the stated 750 billion or 1 trillion but several trillion dollars. Why is there such a big difference, well just like a company that is responsible for paying a pension and must carry it on their books, to examine the governments balance sheet we must look at all of what it has promised to pay out. The US government also has payments it is responsible for in the form of Medicare, and Social Security for the baby boomers and future generations, which along with other entitlements balloon the GAAP annual deficit to over 6 trillion. Even a fraction of that deficit along with the debt load makes it clear the government is in no place to borrow. State and local governments are at similar points in their borrowing story. So, though they may not acknowledge it, government should not be borrowing and soon will have no choice but to stop once forced by its creditors in the bond market. So if the private sector can’t do it and the public sector can’t do it than who will, there is no one else. If you question that, just look what is happening in different debt markets, the mortgage market, car loans, or student loans. Creating exponential debt increases is just no longer in the cards. The question may be raised that if the Fed can create money out of thin air then all these numbers are bunk and don’t matter so let’s investigate that. It is true that the fed can create dollars, but they have to loan them into existence, and as we saw above, borrowing money cannot solve a solvency crisis. 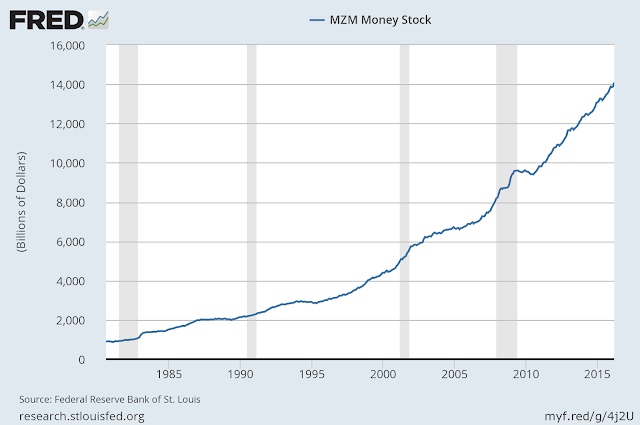 Federal Reserve Bank of St. Louis, MZM Money Stock [MZMNS], retrieved from FRED, Federal Reserve Bank of St. Louis https://research.stlouisfed.org/fred2/series/MZMNS, April 27, 2016. Increasing the money supply from 8 to a little over 14 trillion dollars in the past few years has been sufficient to re-inflate the housing market, push the stock and bond market to new all time highs and cause price increases in many other sectors of the economy, all this while money velocity has been dropping to an all-time low. Now imagine the fed adds enough dollars to attempt to make the US government appear solvent, and take enough of a load off the private sector to get them borrowing again, how much would it take? To monetize enough debt just to take the debt load back to where it was in 2006 we would have to monetize 15 trillion dollars’ worth of debt. That’s 15 trillion new dollars floating around out there. Would taking us back to the 2006 debt load be sufficient? Would we need 25 trillion (2004) or 35 trillion (2001)? Remember the amount of money in an economy doesn’t necessarily cause rising prices, but it doesn’t hurt. 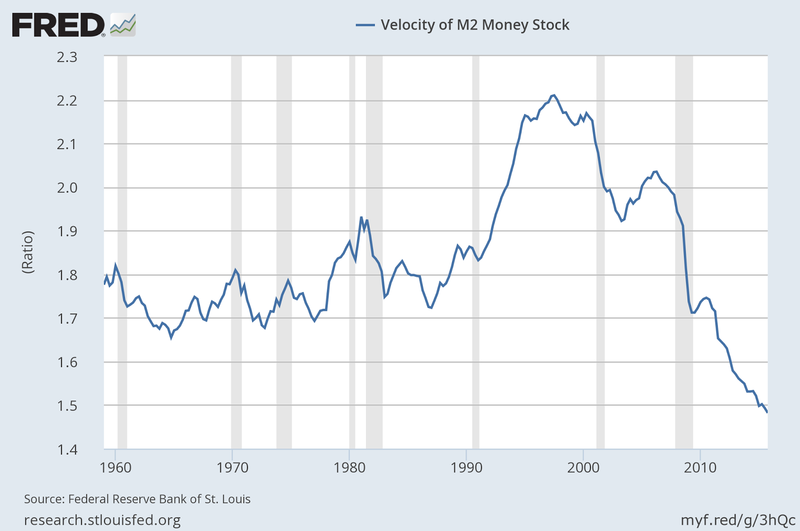 Federal Reserve Bank of St. Louis, Velocity of M2 Money Stock [M2V], retrieved from FRED, Federal Reserve Bank of St. Louis https://research.stlouisfed.org/fred2/series/M2V, April 27, 2016. One of the borrowers is the US government. In 1981 the government could handle the higher rates, but could they now? The federal government needs to roll over trillions of dollars of debt each year, meaning as the term of one bond ends they cannot pay it off and have to borrow again with a fresh bond to pay it off. For some quick and dirty numbers let’s say inflation is running at 10%, and rising, and the fed raised rates to some point above that. This pushes the new rates at which the federal government borrows at to around 15%. If in that year the federal government needs to roll over 5 trillion in debt, the additional cost to service the debt would represent an increase in government expenditures of between $650 and $750 billion. All new debt would also be at these higher rates, and of course additional old debt would need to be rolled over each year, further adding to debt service load. With only 2.5 trillion in annual revenue these numbers are clearly not possible. Do you remember how the media portrayed the “fiscal cliff”? Armageddon comes to mind. That was a cut of less than 100 billion a year, the cut into the federal budget that would be necessary to get high inflation under control through higher rates would be closer to a trillion dollars per year. The recent savior and debt purchaser for the federal government has been the Federal Reserve itself, through QE, but this would not be available while fighting inflation. It would be counterproductive to fund the government with newly printed money while raising interest rates to slow money velocity, though I wouldn’t be surprised if the fed did something like this in secret. Raise interest rates in public while printing and funding the government in private in hopes the reduction in money velocity would overcome the increase in money supply. That would be a last gasp of the current monetary system. The other “tool” you may hear the fed has at its disposal to fight inflation is the virtual money incinerator. This is what the fed touts as the balance to the virtual printing press. 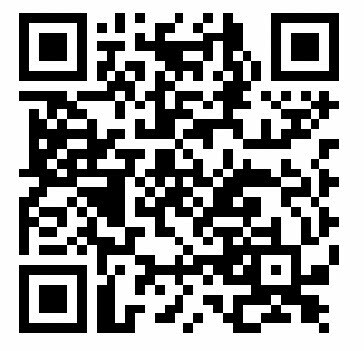 They are virtual due to the fact that new money is created electronically thus not printed, similarly the incinerator does not literally burn money, it similarly just electronically deletes it. But though the fed does have the ability to destroy some of the money supply, to do so it must get ahold of it first. The fed can’t just take money to destroy it; it must trade for that money. What does it have to trade? Well the debt instruments it has on its balance sheet that it has acquired through QE and generating base money. The fed sells the mortgage or government bonds into the market and destroys the proceeds, “incinerating the money”. I am going to dig into some formulas but the main takeaway is as the yield (interest paid) goes up the price goes down. If you don’t feel the need to see the numbers feel free to skip the next section. So let’s do a few of examples, one where the price of the benchmark 10 year treasury bond is around 2% similar to where the rates during much of the QE, and one during a possible future high inflation environment where the long term bond rates are similar to the rates necessary to kill inflation in the early 1980’s under Paul Volker. And finally, let’s see the result if the Fed sold all of the bonds acquired at an average rate of 2.5% during QE. We’ll assume $4 trillion total, and the bonds are sold at an average interest rate of 15% with an average duration of 16 years. This is all to illustrate the fact that the fed could get 100% bang for their buck with their printing press but would only be able to reverse that to the tune of 25% using their “money incinerator” in a high rate environment. The sale of long term bonds would also exacerbate the rise in rates, more supply = lower price = higher yield/interest rate. Consider that you have cash on hand, you are concerned about inflation and are considering purchasing a tangible good such as storable food or toilet paper for fear it will be more expensive in the future. Official inflation statistics are running at 10% but at the grocery store, week to week, it seems higher. Even the official inflation rate trend is up. How much would you be willing to pay for an investment that is going to end up paying you back in dollars IN TEN YEARS. I’m guessing your answer is very low, pennies on the dollar, if anything at all. This rational reaction may completely remove the bid for what the Fed is selling rendering the incinerator completely worthless, but even if the fed were successful in destroying a trillion dollars from the money supply, that is more than made up for by an increase in the money velocity of just 10% on the ratio in the chart above. Also consider as a side note that the above losses represent the losses that could be incurred by long term bonds and bond funds held by a huge percentage of the population in 401k’s and pensions if liquidation is necessary. Essentially when bond interest rates rise, a seller of a bond with lower coupon rate than the current rate incurs a loss commensurate with the difference between the two over the duration of the bond. 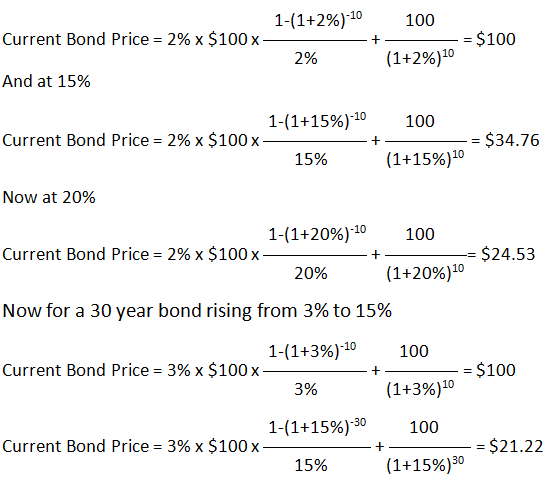 This is how bonds can be traded with different coupon rates seamlessly. If a bond can be sold at a 65-80% loss why are they touted as risk free? Granted bond investors have enjoyed the mirror of this mechanism over the past thirty years as rates have fallen but one should remember the blade cuts both ways. Our monetary system is in dire straits but to make matters worse, since the entire country is on a fiat currency system there is no gold, silver, or alternative currency in circulation to fall back. If there is massive inflation or a destruction of the money supply through deflation there is no easy answer to maintain a functioning economy. In the case of the hyperinflation in Zimbabwe a few years ago there was already a functioning economy in dollars to fall back on, no such luck in the US. If there was hyper-inflation or massive deflation I’m sure another medium of exchange would pop up, or trade could be done by barter which is currently happening in Greece, but it would be pretty ugly. We are nearing a point that even with the patches put in place over the past several hundreds of years including, paying interest to depositors, governmental support, central banks, deposit insurance, and abandonment any attachment to gold are not working, and, once again the fraud of fractional reserve banking and debt based money is about to fail. Oh and I hope anyone who thought that a balanced budget amendment might be the answer to the nation’s woes now understands that it is just not possible without undoing 100 years of monetary inertia. Turning a ship that size around will cause a lot of pain, and by pain I mean millions would die in the economic destruction. There will be pain one way or another when these imbalances are reconciled but thinking that if we just pay off all of our debt in a debt based monetary system all will be well is about the worst way to way to go about it. That path will maximize the turmoil. I am all for the government living within its means but it simply is not possible independent of major monetary reform, so any discussion of a balanced budget must be done in the same breath, and after, a plan for a monetary overhaul. To pay off all of the debt in a debt based monetary system is similar to having an economy that uses gold as money; millions of contracts written with gold as payment, millions of daily transactions done in gold, all of peoples savings held in gold, and some brilliant politicians saying we need to gather up all of the gold, put it on a ship (it would easily fit by the way) sending it to the middle of the ocean and sinking it in the Marianas trench with no way to recover it. How do you think that economy would do going forward? Do you think I’m being overdramatic saying millions would perish? This is what I hear when I hear politicians saying we should pay off our national debt or balance the budget when I know there is little to no chance of the private sector picking up the slack in creating new loans. Not that private loan creation would be the solution; it would just postpone the inevitable. If we accept that the longer a credit created boom lasts the larger the crash will be, it must be considered that we have been in the current boom for over 70 years. 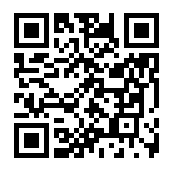 Click here to discover if you are qualified now!